Louise Martin - Clarinet & Saxophone Teacher in Bognor Regis - Welcome! 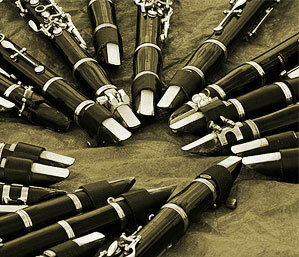 My name is Louise Martin, and I am a clarinettist, saxophonist and flautist based in Gosport, Hampshire. I currently give clarinet, saxophone, flute and music theory lessons in the Fareham and Gosport areas of Hampshire, and in Bognor Regis, West Sussex, and am also a grade exam accompanist. I am also an experienced pit band and ensemble performer. If you have any questions about any of the services which I offer, please do not hesitate to contact me. You can do this by email at loh6dhnjhnIIuise@yudlouisemartin.co.uk, or if you prefer, you can speak to me on the telephone on 01329 511162.